Cochlear implant recipients and candidates often ask whether they should wear some form of medical ID. Cochlear Implant HELP has cut through the anecdotes, interviewed medical professionals, and has assembled the information to help you make your own decision. 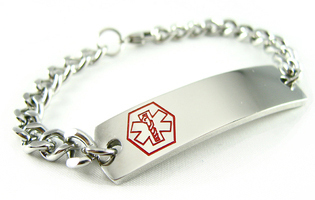 Read more at Should I Wear Medical ID? This entry was posted in Blog and tagged Advanced Bionics, bracelet, cochlear, cochlear implant, dog tag, MED-EL, Medical ID, MRI, necklace by CochlearImplantHELP. Bookmark the permalink.